2019 design trends : minimalist style. 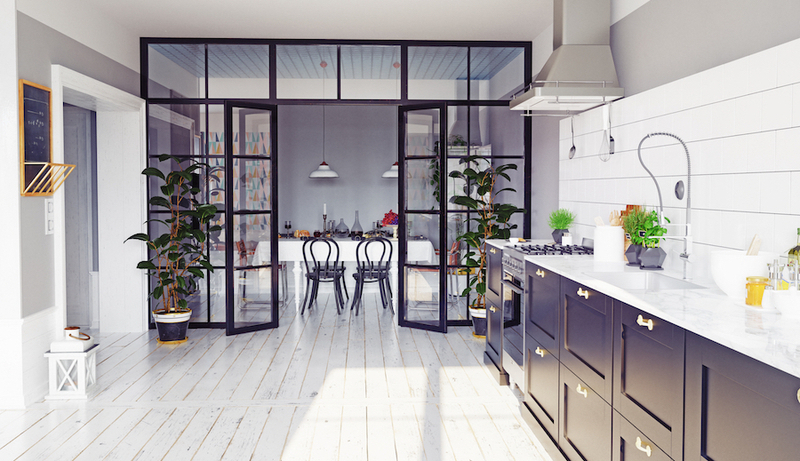 The Crittall style is making an undeniable comeback in 2019 designs and not just as doors and windows! Here it is, back on top, manifesting itself just about everywhere in room partitions, partial room divisions, rear extensions, ramps and even shower walls! This windows are versatile and target all the latest style trends, but especially industrial, Scandinavian and urban looks. These sturdy black frames have a slim profile and the ability to modernize a space and let in as much light as possible. They’ll help you divide open areas strategically without closing off your precious space. These black steel frames won’t pass unnoticed and suite the minimalist style perfectly. To create a division between two rooms without cluttering up the space too much, black-framed windows add personality. The best feature of this type of division lies in the additional light that flows through the windows. For a refined effect and optimal lightness, a Crittall-style shower is a perfect choice. It adds both an industrial and urban flair. Clearly, the mixed style craze is far from waning! 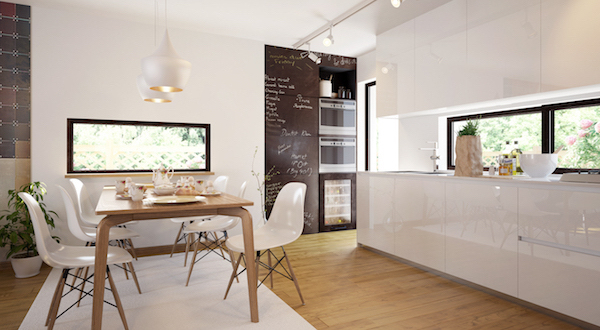 Very much inspired by Scandinavian concepts, the minimalist trend is sweeping the home décor world like a tidal wave. Born in the 1960s, when society reacted to over-consumption by opting for choices that decluttered the home and extended that philosophy to all aspects of life. The idea is to make simplicity the focus. This style itself is based on the “less is more” concept, which aims at a return to basics, where overabundance and the superfluous have no place. Sober, refined and functional, the minimalist style combines comfort and practicality. This trend’s two bywords are linearity and continuity. The minimalist style relies heavily on light. That’s why white is often the colour of choice is this style. Easy to combine with absolutely any accent colour and with most furniture, white is actually a very generous hue; it enhances everything that surrounds it. Avoid ecru colours, though, as their warm tone doesn’t mesh well with the minimalist style. 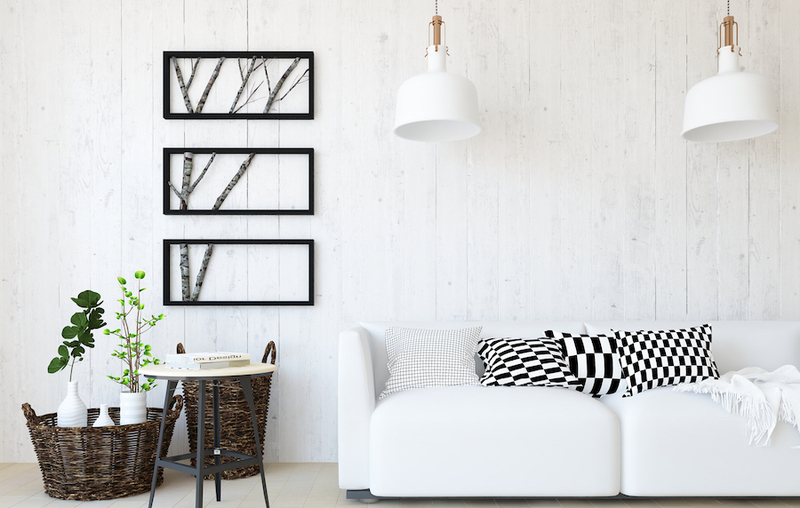 White is magical when you want to make a room look bigger. Add black elements to the décor that will serve as simple and elegant contrasts to the white. 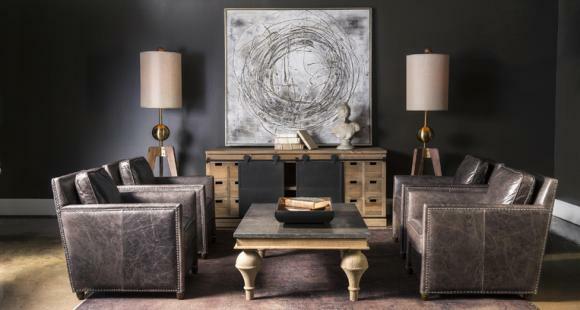 Grey is the perfect choice to create a warm atmosphere. Play with its multiple dark or light shades to find the right balance between the dominant colour and the rest of the room’s elements. 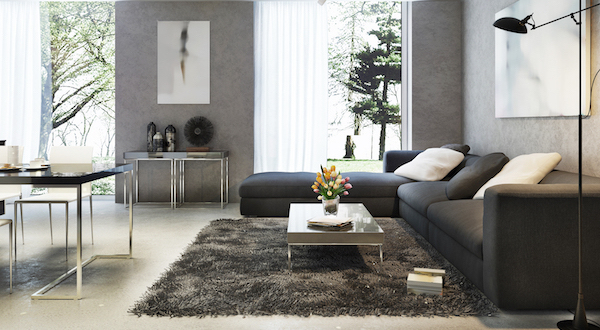 Grey creates a cozy, relaxing effect when combined with white or cream. For a more theatrical look, combine grey with vibrant colours such as yellow or vintage pink. A timeless and refined colour, this neutral, subtle and sober colour is soothing to the eye and can be applied to any room in the house. Rest assured, grey in all its countless shades is timeless, so you’re unlikely to tire of it. 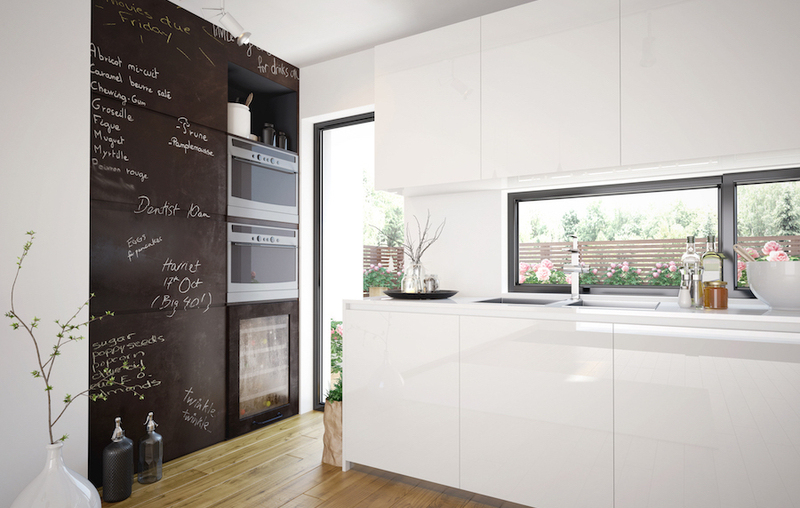 Like white, its opposite, black is a sober colour perfectly suited to the minimalist style. 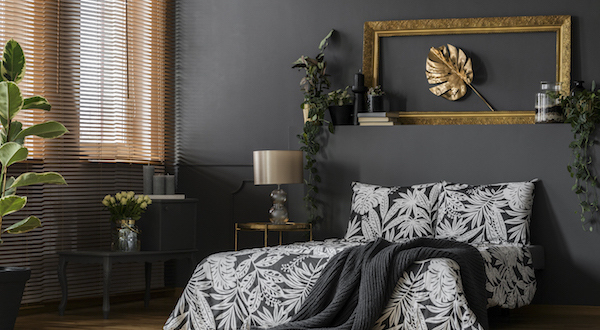 In recent years, interior design has inspired us to be bold and allowed us to discover a very seductive facet of black, one that has long been ignored. While both attractive and elegant, black must still be used strategically and sparingly, as it can quickly swallow up the space of a room by making it too dark. Therefore, avoid using it in narrow areas such as entrance halls and corridors, and don’t apply it to all the walls of a room. Instead, use it in concentrated areas on an accent wall, a floor covering (carpet, tiles) and in decorative elements such as furniture, cushions and light fixtures. 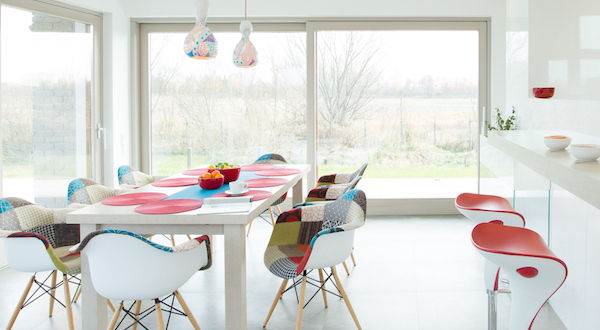 The minimalist style turns its back on the superfluous, including the overabundance of colour. To brighten up a bedroom, living room or playroom, use a few acidic shades such as pink, yellow, orange, green or blue in moderation. Trade in the minimalist style for a more playful décor by using these invigorating colours to create accents and a more personalized look. 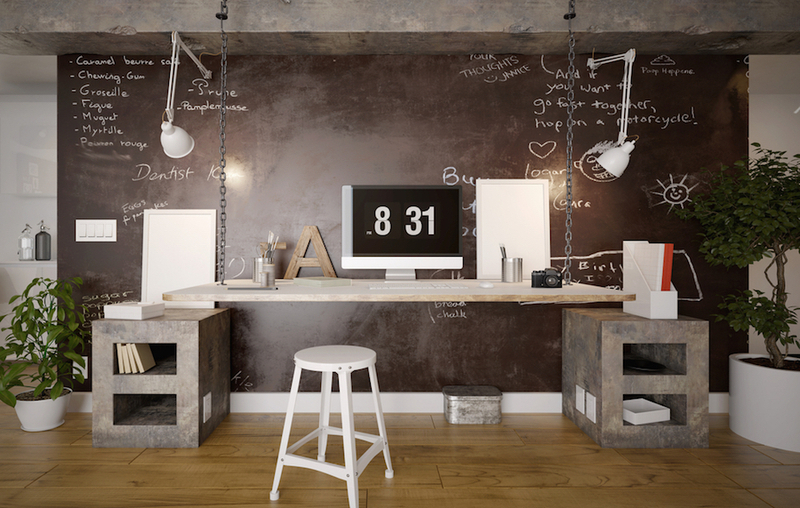 Such touches can take the form of chairs, small furniture, carpets, blankets or canvases. Have fun designing accent colour décor elements according to your whims to make your minimalist décor more dynamic. Virtually absent since the 1970s, velvet made a big comeback last year in interior design. In 2019, it will strut its stuff again but with a Scandinavian twist and a corduroy texture. Discover soft, straight, clean lines in shades of garnet, khaki, mustard yellow and cobalt blue. Velvet blends brilliantly into most styles while creating a modern link with the past. Lacquered wood, concrete, glass and metal are top picks in the minimalist style. For floors, resin and cement are often the most suitable materials. Where furniture is concerned, leather seats and glass table tops are popular. Look for furniture with straight and clean lines. 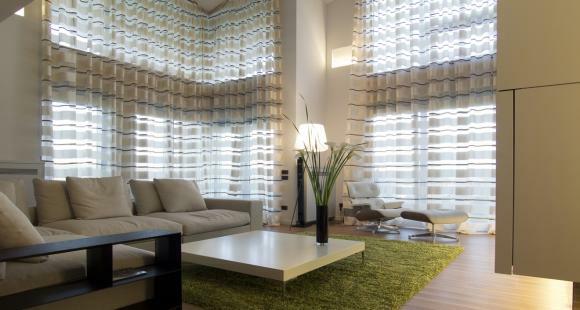 For their part, curtains and bedspreads in smooth and cozy textiles enhance any minimalist interior design. 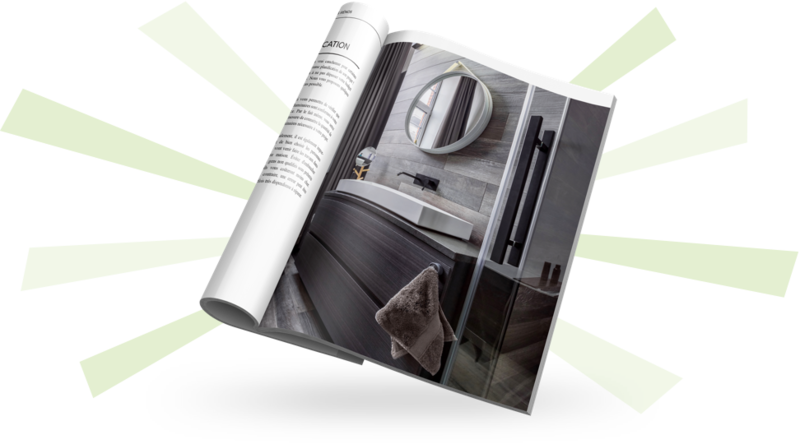 Choose accessories that are useful or truly contribute to the overall aesthetics, for example, a mirror, a plant, a work of art or a light fixture. In keeping with the “less is more” theme, a simple object can become the focal point in a room. The lack of extraneous trinkets will highlight it. Creating a minimalist interior means keeping an absence of knick-knacks and superfluous objects. To this end, it’s necessary to have multiple storage spaces in which to hide everyday objects. Every square inch must be neat and functional, so you need to invest in practical, space-saving furniture. Stow away any objects what would otherwise weigh down the décor while still keeping them within easy reach.